We have heard the stories, in bits and pieces from our grandparents, uncles, aunts, parents…in the end, all we had were a clutch of tales, till Har Jagmandar Singh decided to go back to the roots and start from the beginning, the genesis of Sikhism. 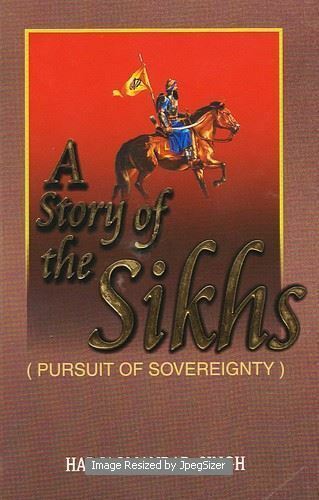 From there, this author’s journey has taken him from the formation of this religious sect, the rise of the Khalsa, life and death struggle for a hundred years to the golden years under Maharaja Ranjit Singh, the fight for freedom, Komagata Maru episode, the Ghadr movement, making of Akalis and SGPC to Operation Blue Star, Bhindranwale, developments like the Kashmir problem, war with China, Bangladesh venture, nuclear explosions, demolition of the Babri Masjid, recurring communal violence – till it all found a way in his book, A Story of the Sikhs. Released at the Chandigarh Press Club, “The book endeavors to be faithful to truth and nail some big lies, which may not please all,” says the author. “It’s a product of 20 years, views the Sikhs and their affairs on an uncommon perspective. It extends from the earliest times to the present day,” adds Har Jagmandar Singh. The function was presided over by Roopinder Singh and AS Paul, manager Punjab Book Centre, was the chief guest. Singh Brothers is maintaining a biggest ever collection of books on Sikhism in English, Punjabi and other languages. We are publishing Books on Sikhism with commitment, publishing Punjabi Literature with refined tastes since 1940 and reverence for the last six decades. We are supplying all EnglishPunjabiIndian books world-wide efficiently. We have latest Hi-tech printing and binding machinery and undertaking the multi-coloured printing jobs. Along with all thses, we are supplying quality musical instruments and attractive Sikh artifacts, AudioVideo Cassettes and CDs of Sikh Kirtan and Sikh themes to the Sikh institutions and Punjabi’s settled world-wide.